Kirsty Young's castaway is the actor Warwick Davis, who chooses the eight records he would take with him to a desert island. Kirsty Young's castaway is the actor Warwick Davis. His career began thanks to his grandmother who heard a radio advert calling for short people to be in the latest of George Lucas's Star Wars films. He played his first role as an Ewok in Star Wars when he was 11 years old and found himself on set with his childhood heroes. Since then he's worked on all the Harry Potter films, appeared in TV sitcoms, documentaries, horror movies, quiz shows and Christmas pantomimes. Born with Spondyloepiphyseal Dysplasia Congenita (SED), a rare disorder of bone growth which results in dwarfism, the view of his doctors was that he'd be wheelchair bound and unlikely to live beyond his teens. Now in his mid-forties, he is married with two children of his own. 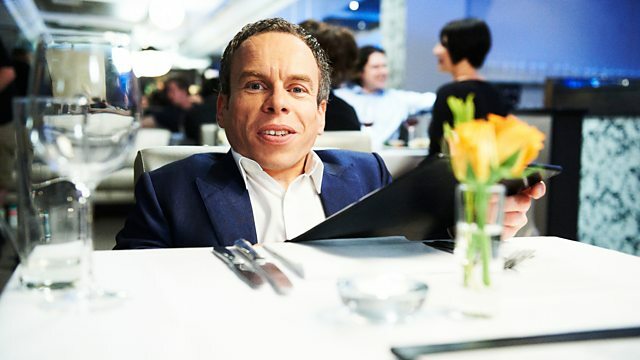 Warwick Davis on Desert Island Discs at a glance. Performer: London Symphony Orchestra. Conductor: John Williams. Return of the Jedi: Original Motion Picture Soundtrack. Buster  The Original Motion Picture Soundtrack. Monsters (Original Motion Picture Soundtrack).